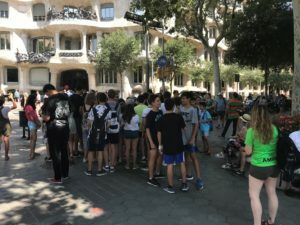 From 1 to 7 July, the 9th Sa-Fa Family Cultural Week took place in Barcelona, organised by the Board of Directors of the AMPA of Barcelona. 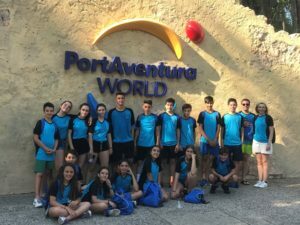 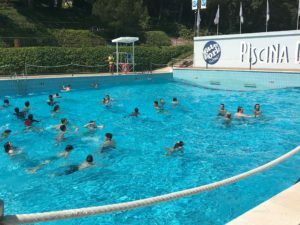 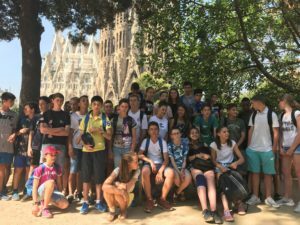 Students from the schools of Lyon, Dagneux, Barcelona, Madrid and Palma de Mallorca have enjoyed several excursions and visits in which they have lived together and got to know Catalan culture better. 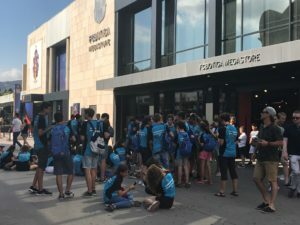 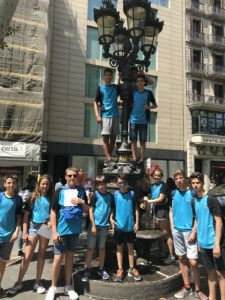 The students and their instructors have had the opportunity to visit important museums in Barcelona (Cosmo Caixa, Museu del Barça) and the most touristic areas of the city (Barrio Gótico, Ramblas, Parque Güell, Sagrada Familia). 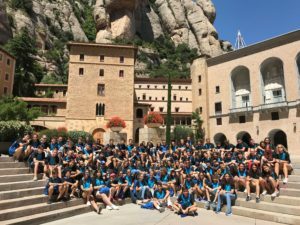 There has also been time for a pilgrimage to the Monastery of Montserrat and for fun at Port Aventura and Water World. 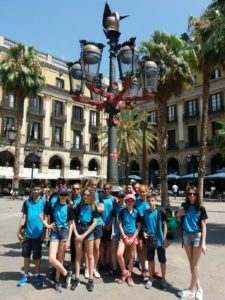 A farewell dinner and a beautiful pyrotechnic show brought the end of a week full of culture, but above all, of fraternity and emotions. 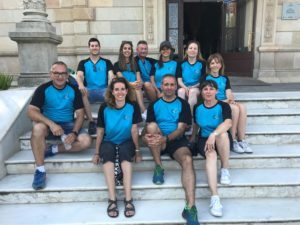 Taking advantage of the inauguration of the Cultural Week, the European Regional Council of Parents’ Associations of Sa-Fa Schools met on Sunday 1 to organise these meetings.